According to data provided by the European-Mediterranean Seismological Centre (EMSC), within the past 11 hours there has been a record of more than 19 earthquakes back to back in Chile. They ranged from a magnitude of 3.1 to 4.9 on the Richter scale, and the more recent tremors are above a magnitude of 5.0. At coordinates 30.66 S Latitude and 71.72 W Longitude, a 4.9 magnitude earthquake with a depth of 37 km occurred offshore of Coquimbo, Chile. Damages have been extremely hard to assess in Chile, due to consistent earthquakes occurring less than hours apart from each other, causing a back to back cycle. 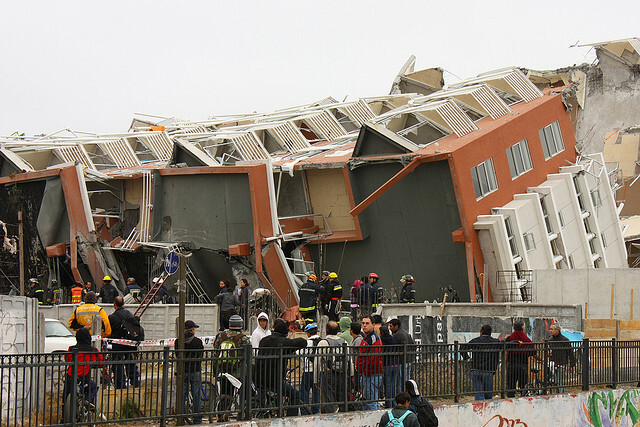 Many parts of Chile including, Tarapaca, on and offshore Coquimbo, offshore Valparaiso, and Antofagasta, have succumed to these natural disasters. Two hours after the 4.9 magnitude earthquake, a 3.4 magnitude earthquake struck offshore Coquimbo, Chile on Sept. 30 at 3:30:28.0 UTC. At coordinates 31.69 S Latitude and 71.58 W Longitude, the 3.4 magnitude earthquake had a depth of 40 km and occurred shockingly close to the previous earthquake. The relentless and ongoing earthquakes in Chile, could make it difficult to keep up with the number of casualties. The after-shocks alone could potentially wipe out all forms of communication and transportation. The continuous earthquakes have reportedly displaced many people, destroyed homes, street ways, and possibly contaminated the water supply.